Select Caption > Show/Hide Captions. 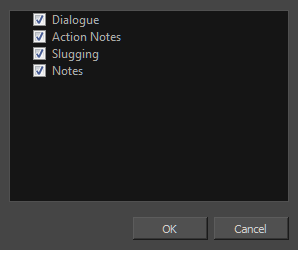 The Show/Hide Captions dialog box opens. Lets you display selected captions. Deselected captions are hidden.